I want to talk about an interesting segment of cloud technologies – cloud SQL Database. For the last months, I’ve seen multiple announcements of vendors in this space. Overall, it seems as an interesting trend. In a nutshell, cloud SQL database is a service that allows you to have your SQL database running “somewhere” on the cloud. Thinking about PDM/PLM solutions for small companies, database is a critical component. Database installation made overall product installation complicated. Future configuration, tuning and administration of this database create another level of complications. So, what is available today on the market to provide cloud SQL database services? Here is the list of most popular solutions: Amazon EC2 RDS, SQL Azure, Google Cloud SQL, Salesforce’s Database.com, Oracle Database Cloud. Salesforce is aggressively pushing more services to power more salesforce services on the cloud. The fact salesforce is using database.com domain for these purposes is very symbolic. 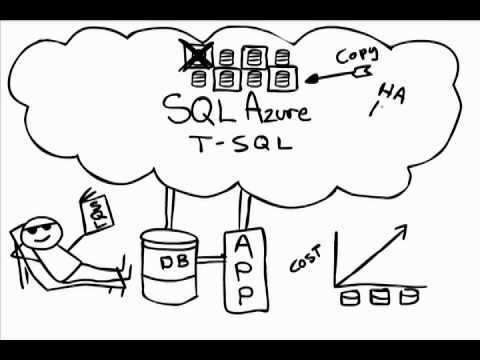 Take a look on this following video to learn more about database service. Last, but not least. Amazon is one of the most popular providers of cloud infrastructure today. As part of Amazon Elastic Cloud (EC2) you can have an access to Amazon Relational Database services (RDS). You can learn more here. Amazon is not developing their own database, but provide you an access to one of the popular databases on the market. This is an interesting differentiation from all previous solutions that I described.